I’m Sallie Tams, a fiction writer based in England. I spent many years living in the USA although now I seem to be home permanently in the UK. I am the 2010 Winner of the Whittaker Prize for fiction and published by Ether Books on their Ether app for Smartphones and tablets. My most recent work, a collection of shortstories, What We Didn’t Say, was published in April 2013 by CompletelyNovel.com and is available from their website and in print and Kindle formats from Amazon. In 2014 I was selected to be one of the cohort of the Room 204 Writer Development Programme with Writing West Midlands. When time permits I submit freelance articles to print and digital media or stories to occasional writing competitions dotted around the print and cyberspace universe. I have a full length novel in the middle of second draft and a further one bubbling on the back burner. My work has also been published in print in A Vauxhall Chorus (ISBN:978-1-84914-011-9), a collaborative 24 hour book project and the Body Parts & Coal Dust the Best of Whittaker Prize 2010 & To The Edge of There and Back 2011/11 Anthologies. It also appears in various editions of The Right EyedDeer Literary Magazine and online at Jotters United. Writing, reading and needlework in its many forms are my passions, along with my dog and faithful companion Willie the World Travelling Plotthound and this blog accompanies my work as a writer and my workshops and classes in creative writing. When not writing I can usually be found walking, dabbling in photography, reading, or teaching workshops in new and historic needlework techniques, social media workshops or stitching along to an audiobook. I am also a keen, if not always successful vegetable gardener. To keep the wolf from the door, I work in management during the day specialising in Operations Management, HR, Health & Safety, Risk Management, Compliance, Documentation and Disaster Recovery & Business Continuity Management and Planning. Before a series of injuries brought my lengthy horseriding career to an abrupt and very untimely end, I was a Gold-Series Endurance Rider. I hold qualifications in riding instruction and equine sports therapy massage. That’s me, Sallie Tams. 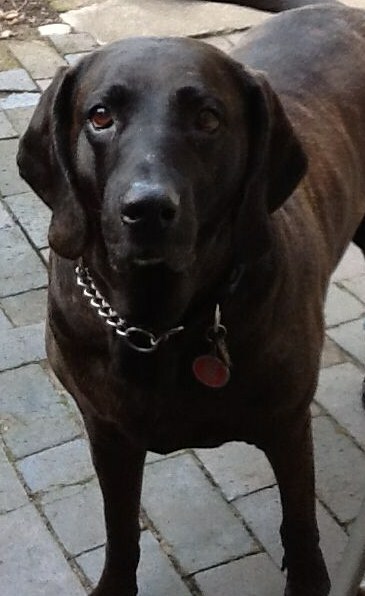 Oh and you’ll find me Twittering @sallie tams and yes I do indeed have a Plott dog (you can read about him here).